Jaguar XK/XKR 07-13 There are 7 products. 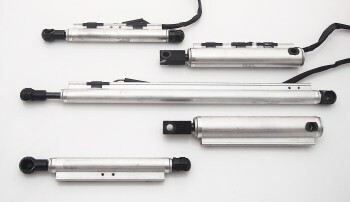 We currently upgrade Jaguar convertible hydraulic cylinders for the 2007-2013 XK/XKR models. The rod seals used for the cylinder rebuild/upgrade are far superior to the original ones in geometry, size and material choice. Top Hydraulics' Kevlar-reinforced hoses have a burst pressure rating of 23,200 psi, and are clearly the best option available to Jaguar owners. 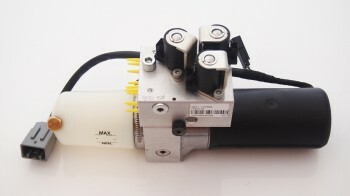 You remove your cylinders that you would like to have rebuilt, and send them to us. Core Exchange is currently NOT available for Jaguar cylinders. Once we receive your cylinders, the turn around time for Jaguar cylinders is up to two days for rebuild service, and we will ship the cylinders back to you by Priority U.S. Mail (2-3 days domestic delivery time). We ship internationally on a daily basis. Please note that in the unlikely event the cylinders should have rust or serious mechanical damage on the chromed shafts, a proper rebuild is currently not possible.